Today we have uploaded CS-Cart “Recently viewed products” add-on. We know about thousands of factors, which stops customer during checkout. Some of them extremely simple, for instance, lack of time or internet-connection loss. These things usually transform into real problems like abandoned carts and take profit right out of your hands. 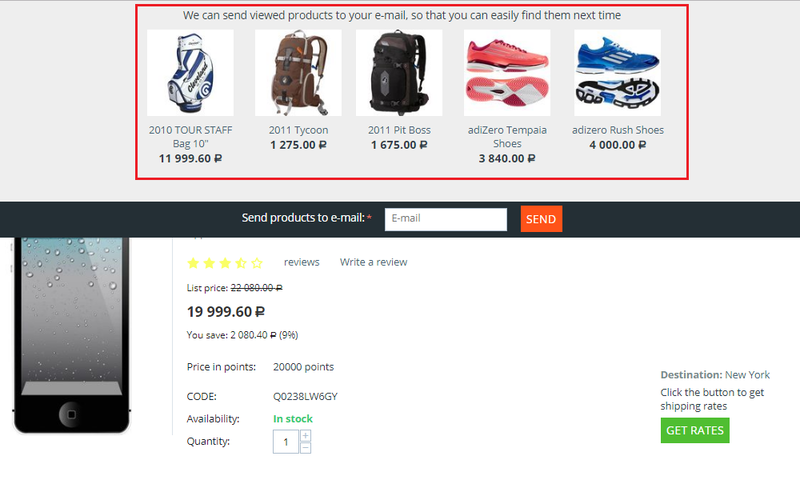 Our add-on helps you to send e-mail messages to customers and remind them of some products they have viewed not long ago. 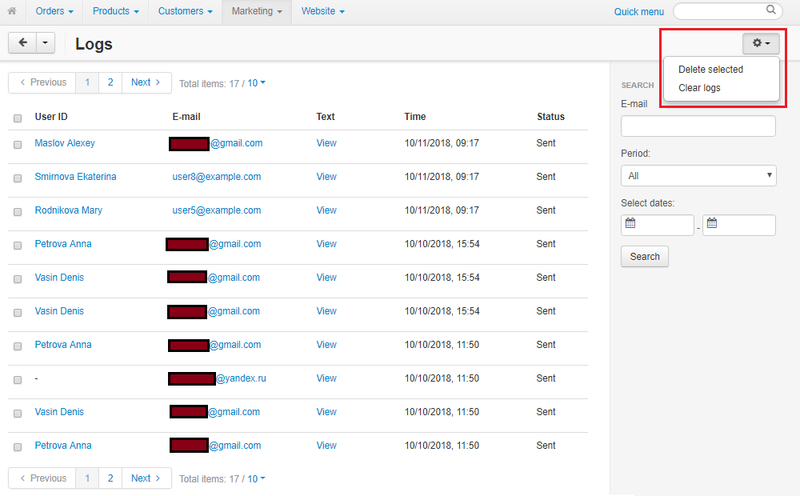 You can also display the drop-down notification with recently viewed products when customer moves the mouse cursor in the browser top to close it or change browser tab. Compatible with: CS-Cart and Multivendor 4.6.x, 4.7.х, 4.8.x. 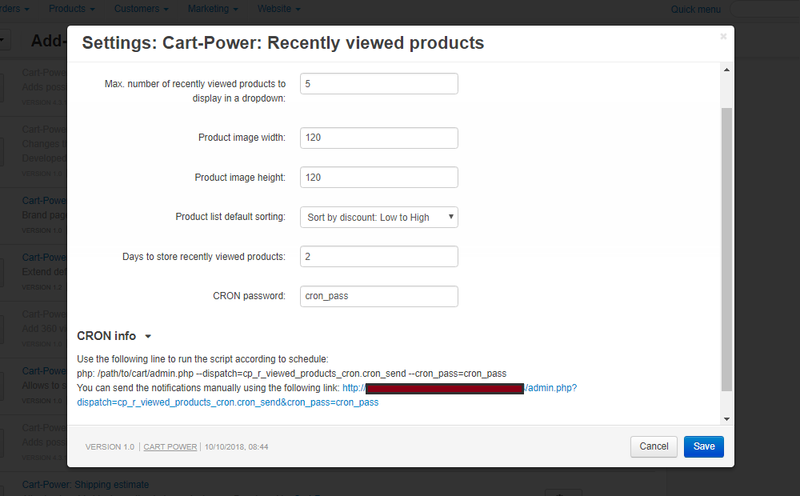 Today we have uploaded CS-Cart “Recently viewed products” add-on. 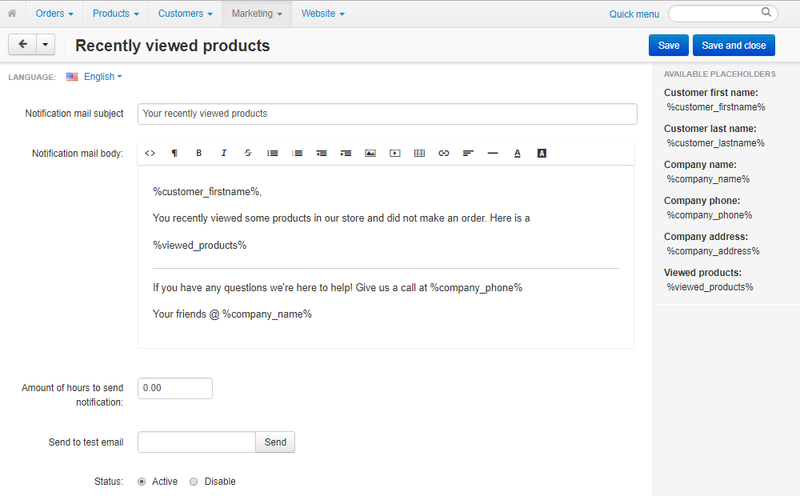 This add-on allows you to display the drop-down notification and remind customers of some products, which they have viewed not long ago. 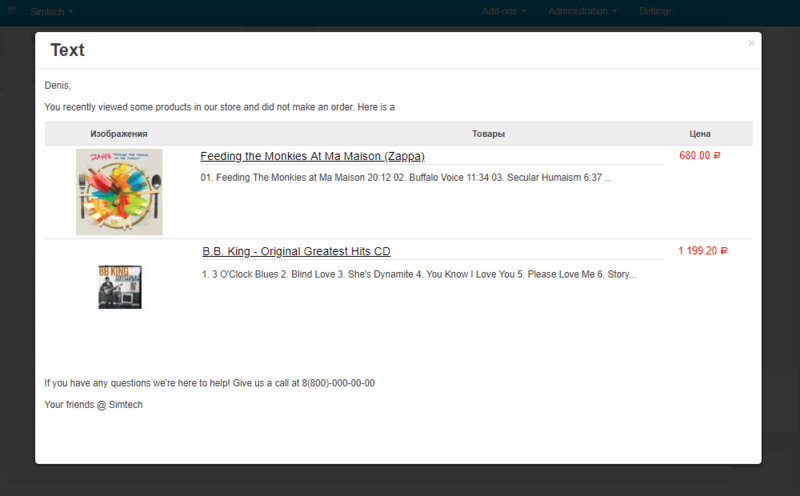 The store admin can send the viewed products list to customers via the e-mail message. The sending process can be optimized by the cron-command. is this compatible with gdpr ? to consent checkbox to terms.. ? Yes, the GDRP check box will appear in this pop-up.